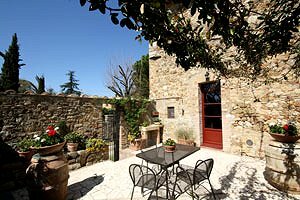 The windows of the stone villa situated in Monteriggioni, in the province of Siena, open onto the wonderful panorama of Chianti, made of fields and hills covered with woods. 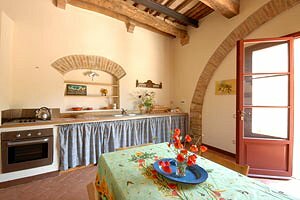 Staying at the villa guests will have the opportunity to visit Siena, the town of the Palio - which is held every year on June 2nd and August 16th -, of Piazza del Campo - with the Palazzo Pubblico and the Torre del Mangia -, and of the panforte, which is just a few kilometres from the villa. 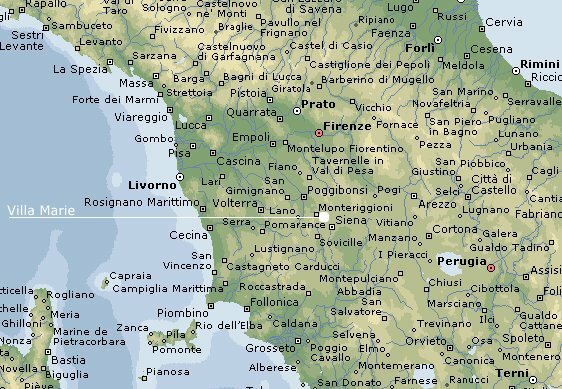 San Gimignano, Colle Val d`Elsa, Montepulciano, Pienza, the whole Chianti region and Florence are within easy driving distance. 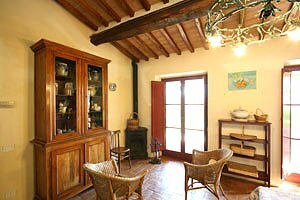 The villa was built in the 18th century and in the origin was a farmhouse. 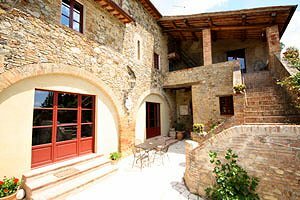 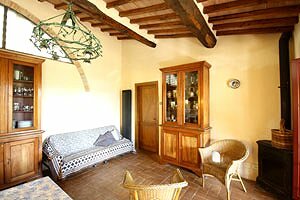 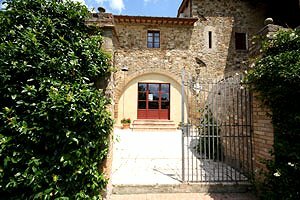 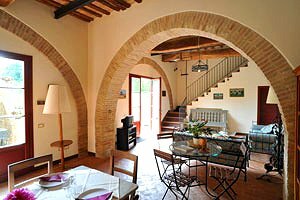 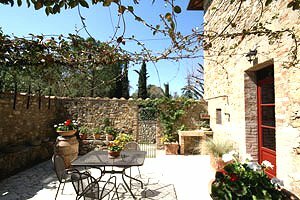 It has been recently renovated and features some elements typical of the Tuscan rural style, such as the terracotta-tiled floors and the beamed ceilings. 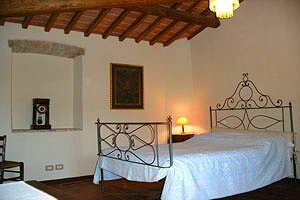 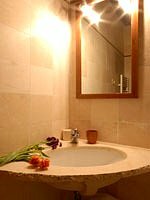 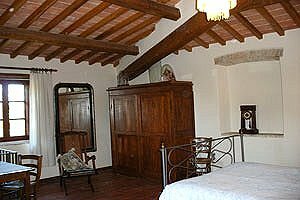 The rooms are furnished in the traditional Tuscan rural style. 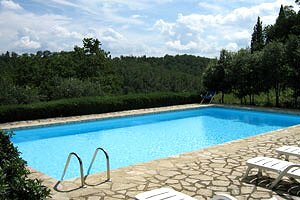 In the wide garden that surrounds the building lies the private swimming pool (6x12 m; depth: 1.30-1.80 m), equipped with external shower and sun loungers. 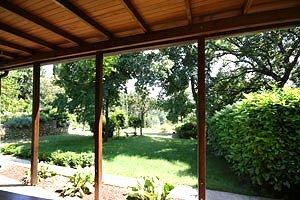 Next to the pool is also a pergola with a table and some deck chairs. 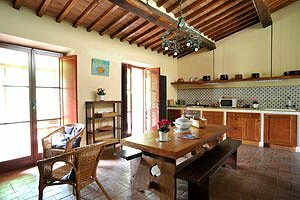 Some tables for having meals in the open air and the barbecue equipment are at guests` disposal in the garden. 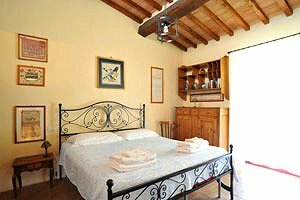 The complex consists in the villa and two annexes and can accommodate 11+3 guests in 1 triple bedroom, 3 double bedrooms, 1 twin bedroom, 2 single sofa beds and 1 single folding bed; it has 4 bathrooms. 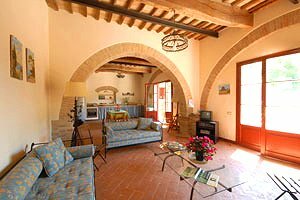 The villa can accommodate 7 guests 1 triple bedroom, 1 double bedroom and 1 twin bedroom, and has 2 bathrooms. 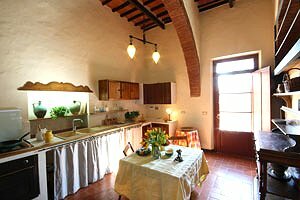 On the ground floor are the kitchen and a large living room with access to the garden. 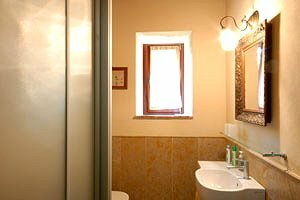 The first floor consists in a twin bedroom, a double bedroom with ensuite bathroom and a bathroom. 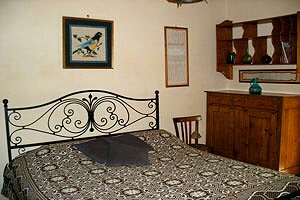 On the second floor is a bedroom with three single beds. 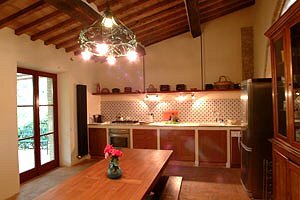 The Restored Barn composes of living room with kitchenette, dining area and single sofa bed, a double bedroom and a bathroom, and can accommodate 2+1 guests. 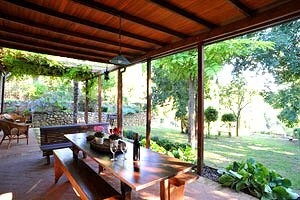 In the veranda are the barbecue equipment and a table with some benches. 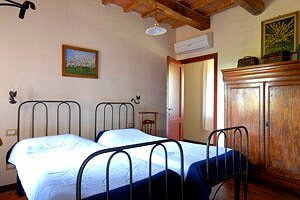 The Guest House can accommodate 2+2 guests in 1 double bedroom, 1 single folding bed and 1 single sofa bed, and has 1 bathroom. 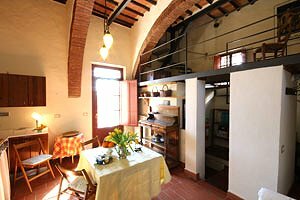 The ground floor composes of living room with kitchenette, dining area and single sofa bed, and a bathroom. 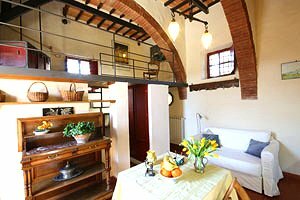 A loft is furnished with a single folding bed. 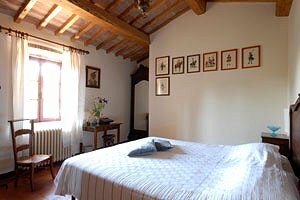 The first floor consists in a large double bedroom. 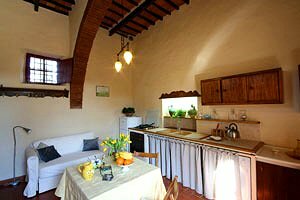 The villa comes with swimming pool, barbecue, air conditioning, fans, working fireplace, Internet connection, CD player, satellite TV, DVD player, microwave oven, electric oven, vacuum cleaner, ironing equipment, cot beds and private car parking space. 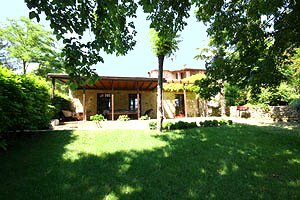 Shops and services of any kind are in Quercegrossa (3 km). 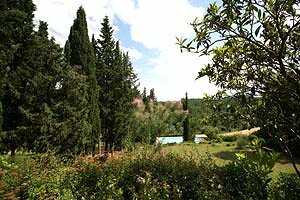 A bus stop is 200 metres from the villa. 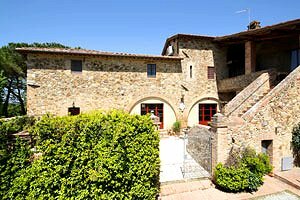 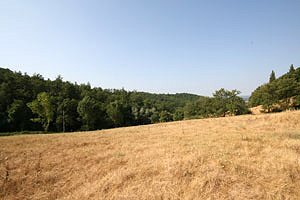 A riding stable and a tennis club are within 5 kilometres of the villa, whereas a golf club is 20 kilometres from the estate.